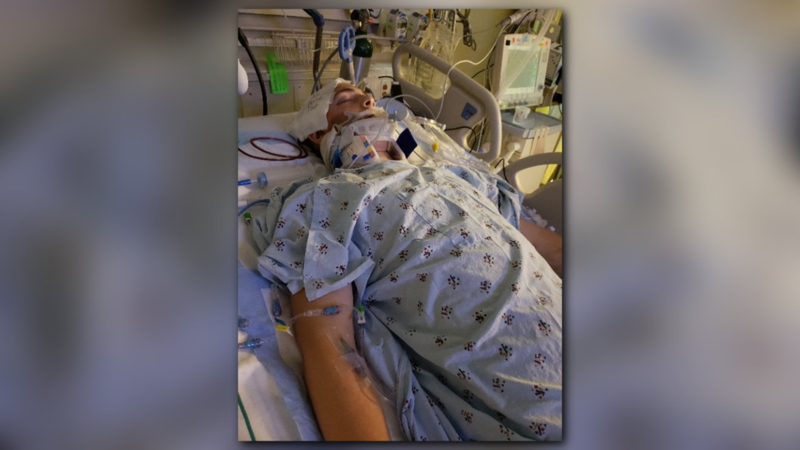 Jadon Olsen, 17, suffered a traumatic brain injury. 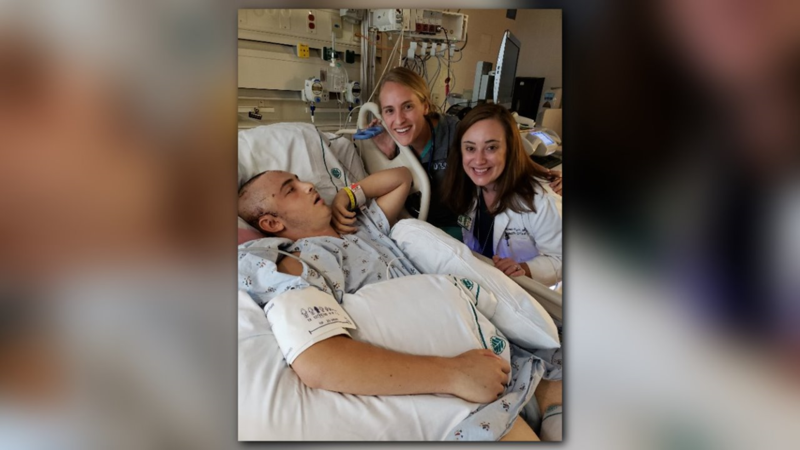 Doctors in Laurinburg decided to send him to Levine Children's Hospital in Charlotte so he'd have a better chance of making it. 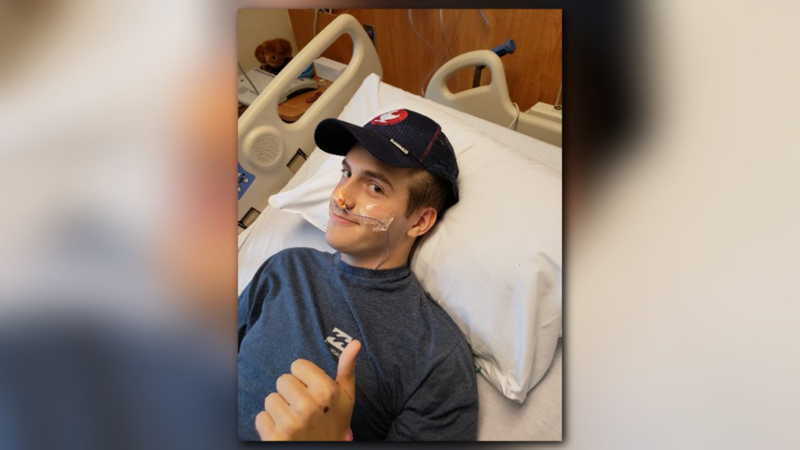 CHARLOTTE, N.C. — A young man from North Carolina is making a remarkable recovery after being hit by a fallen tree branch during Hurricane Florence. It happened on Friday, September 14, in the town of Laurinburg. The winds were picking up as Billie Olsen and his 17-year-old son, Jadon Olsen, came up on some debris in the road. 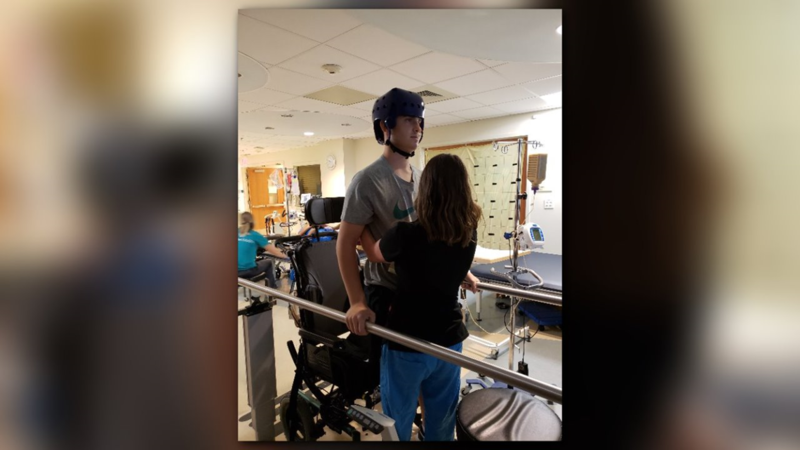 "Rather than go around the tree branch, Jadon wanted to move it out of the way so other people wouldn’t have to," Jadon's mom, Elaine Olsen, told NBC Charlotte. The pair, trying to do a good deed, ended up in serious trouble. "Either one or more branches fell out of tree landed on both of us. And I looked over and saw he was down on the ground. He was trying to sit up; I knew he was hurt," said Billie, a pastor. Billie was bleeding -- yet desperate to protect his son. "I got on all fours, got on top of him, and I just stayed there with him. And I figured if anything else was coming out of this tree, make sure it lands on me," Billie said. Billie called Elaine and just told her to bring some towels; they needed help. “I didn’t know what we were looking at, I couldn’t get the garage doors up because the wind was blowing them so hard, so I just basically was running down the street in my bedroom slippers, carrying towels and screaming for help," said Elaine, a fourth-grade teacher. 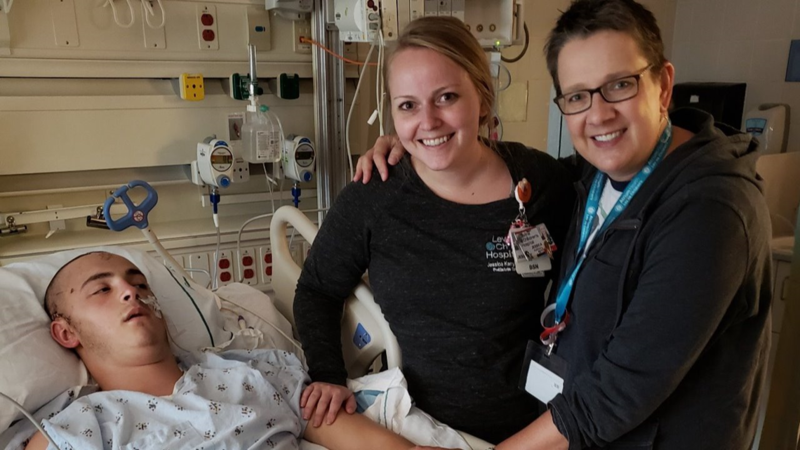 After everyone got to the hospital, Elaine sought out her son. Elaine was preparing for the worst but also somewhat composed. "It was horrific, but there was a calm there that you wouldn’t think typically would be there. I knew something serious had happened; this was probably my worst nightmare. I really had no idea of the extent of his injuries until we got to the hospital," Elaine said. Jadon had a brain bleed which is a traumatic brain injury. 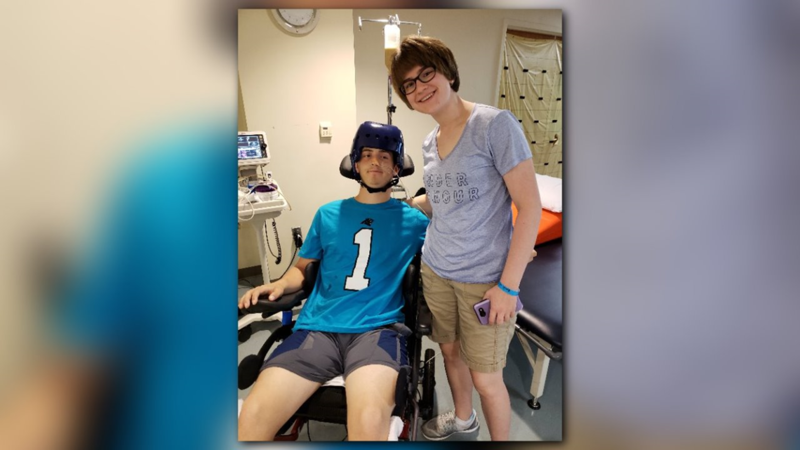 Doctors in Laurinburg knew they had to get the teen to a better-equipped hospital if he was going to make it. 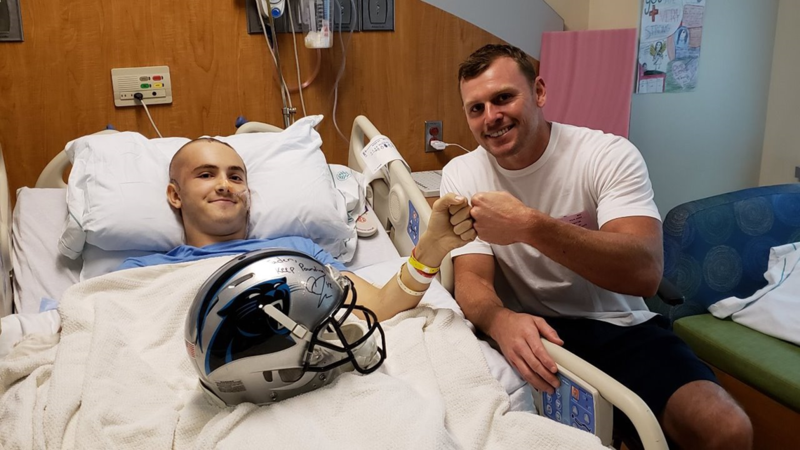 The decision was made to take him to Levine Children's Hospital in Charlotte. "I asked, 'How will I know if he dies on the way?' They said, 'We'll just meet you at the E.R." Elaine said. Jadon made it to Levine. 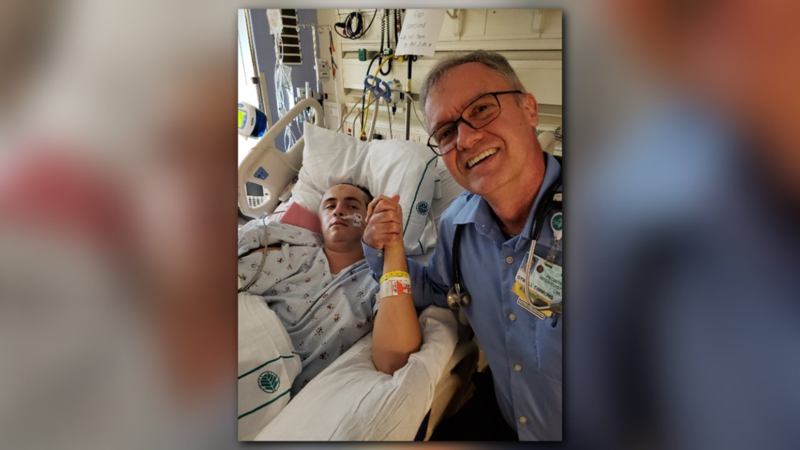 After surgery, he was in a coma and on a ventilator for three days. 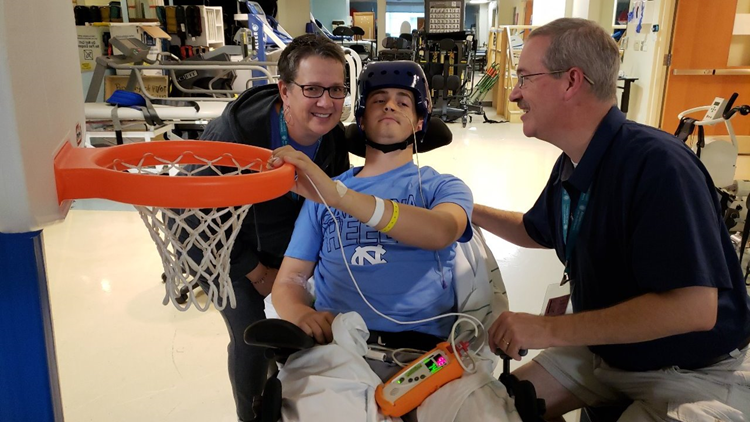 "Really for several days, he wasn’t showing much response to pain," said Dr. Lauren Piper. But his family knew Jadon was still in there. His siblings and parents tried to break through the fog. "My son said, 'Play him the beginning of the Andy Griffith Show,' and his eye popped open, and he squeezed my hand," Elaine said. Then, each day, a little more progress. "It was about 5:30 in the morning, Sunday, and I saw him move his foot. I’m not sure if I was happier on the day he was born than the day I saw his foot move. I thought there is a real chance here," said Billie. The family has run the gamut of emotions over the last few weeks. "It has been a mixture of stark terror, great anxiety, but there's also been a lot of joy," said Billie. Miraculously, Jadon is now walking and talking. 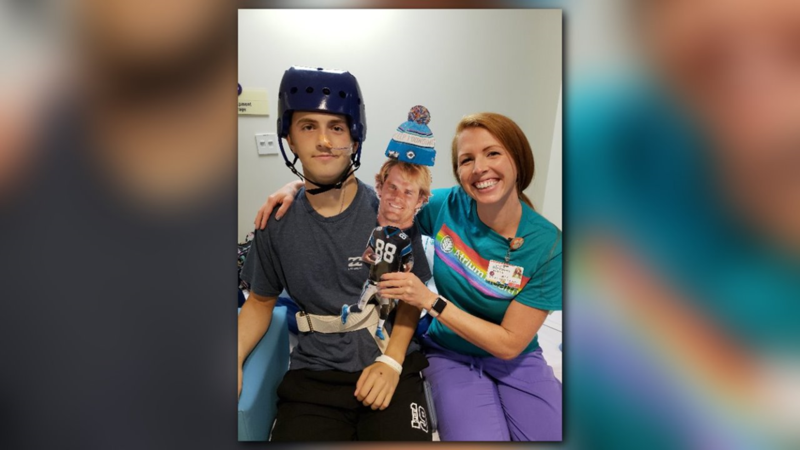 "He's now able to walk 500 feet, and he told me hopes to be a pediatric therapist," Dr. Piper said. Doctors said Jadon is doing so well, they expect to send him home in the next few weeks. "To see him now, that he’s in rehab, make some real progress, those are all things that were celebrating," said Billie. You can follow Jadon's story on social media using #joinjadonsfight. There is also a GoFundMe account for his recovery.